It’s coming to an end ladies!! Can you believe it? Six months already! I’ll be looking for updates from you guys over the next couple of weeks! Regardless of whether you achieved your goal(s) or not, we’d love to hear from you! It’s not always about the end game. Most often, it’s about the journey. What have you learned about your hair and yourself over the course of the last six months? What have been your struggles? Your triumphs? This is a great time to help inspire others. So, if you’re still out there, even if you haven’t updated since your original submission, we’d love to read your story! 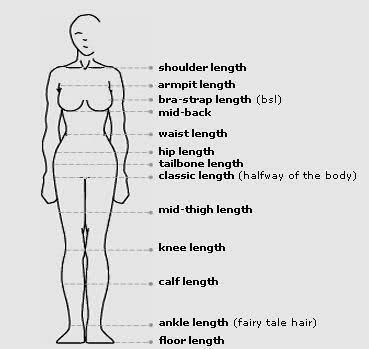 Do you have hair length, thickness or health goals? How about weight, fitness or diet goals? Stress reduction? Faith? Do you need something to hold you accountable and keep you motivated to achieve them? Did you participate in the first round of the Hairscapades Grow Out Challenge (GOC) that ends January 31st and want to keep going? Then join the Hairscapades GOC that will run for 6 months, from April 1, 2012 to September 30, 2012! Yeah, I know, April?!? But, I don’t have time to get submissions and post them to start in February given that I’ll be posting updates from Janaury. And … for real though? I need a little break! LOL! So, I figure I’ll do updates in February and then we’ll have March for you guys to get your submissions in to me and it’ll allow me time to post the participants prior to our start on April 1st. If you are in the first round GOC and planning on participating in the second, please feel free to send in “unofficial” updates or guest posts over the next couple of months as I’d LOVE to know how you are all doing! Check out the GOC home page for details on submissions and the general structure of the challenge. H A P P Y G R O W I N G ! ! ! ! Please Shelli!!!! I want to join the new GOC!!! I have my length-check t-shirt, a goal and now a group!!! Oh yeah! Oh yeah!!! I have to get in too. The first round ladies was such sn inspiration. Count me in for GOC Part 2! Look for my update soon…I cannot believe the growth! I will definately be joining this challenge!!! Is the structure the same as the first one? Awesome ladies!! Mershauna and Etoile, waiting for those updates;)!! Lieinbk, so happy that the first round was an inspiration, that’s what it’s meant to be …. to the women involved, those “playing along at home” and those watching:)!! Leslie, yup, pretty much the same structure except that some of the categories may be altered a little. Like, for example, I was trying to get 30 tips in over the course of the challenge … I got up to 16 I think? So, I’ll keep working towards that goal of 30 starting from 17 … not starting from 1 again;)! LOL!! I definitely want to be a part of this GOC. I have hair, fitness, and spiritual goals i would like to meet. I want in lol. I am starting a little 90 day challenge on my blog which will be done May 1st so the timing of this is perfect.